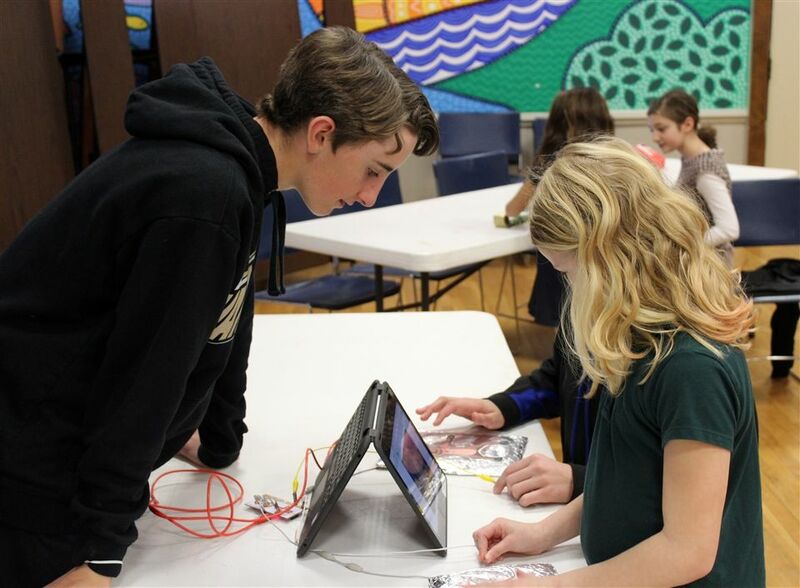 Over the past several weeks, seventh graders have been learning how to code and design their own games using Scratch programming in their technology classes. 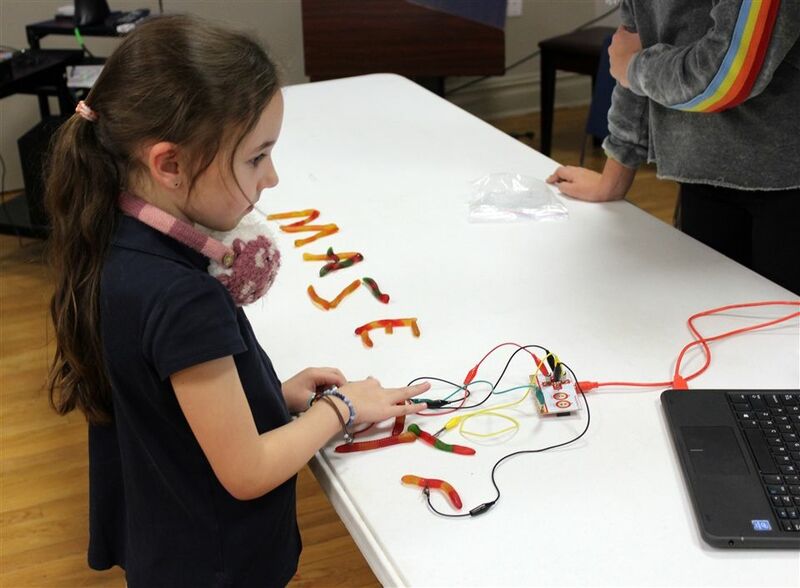 Using a device called a Makey Makey circuit board, students were able to code keys on their laptop keyboards to interact with various conductive objects (such as Play-Doh, tin foil, and food) in their games. 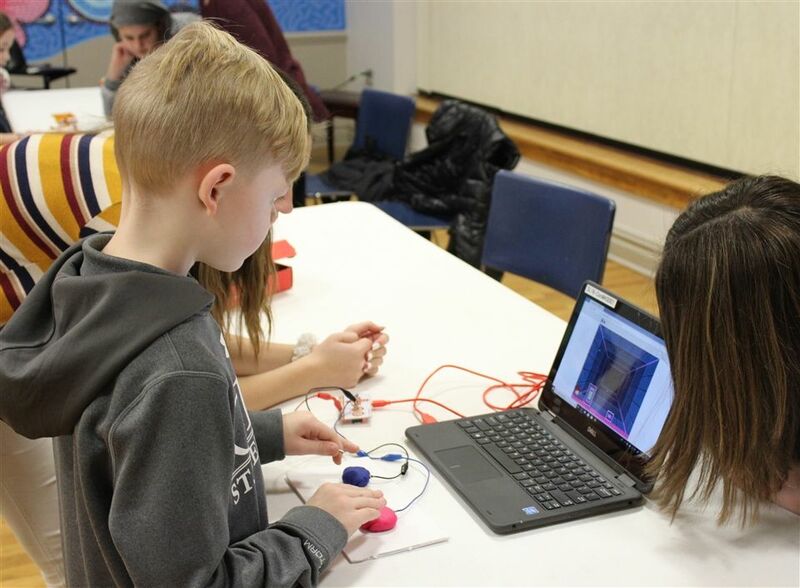 In January, the seventh grade hosted two tech fairs and invited our second- and third-grade students to come and try out their games. 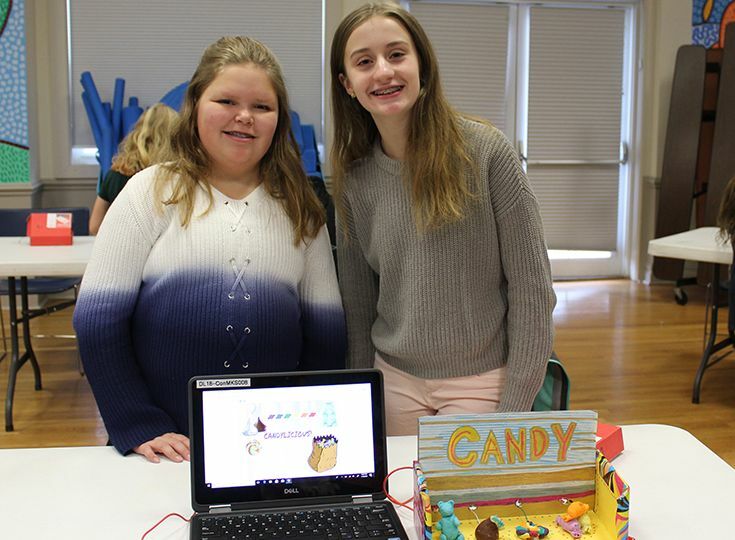 Middle School technology teacher Carrie Johnson said, "This was a fantastic opportunity for the seventh graders to showcase what they designed, teach the youngers students about their games, and get feedback from younger players." 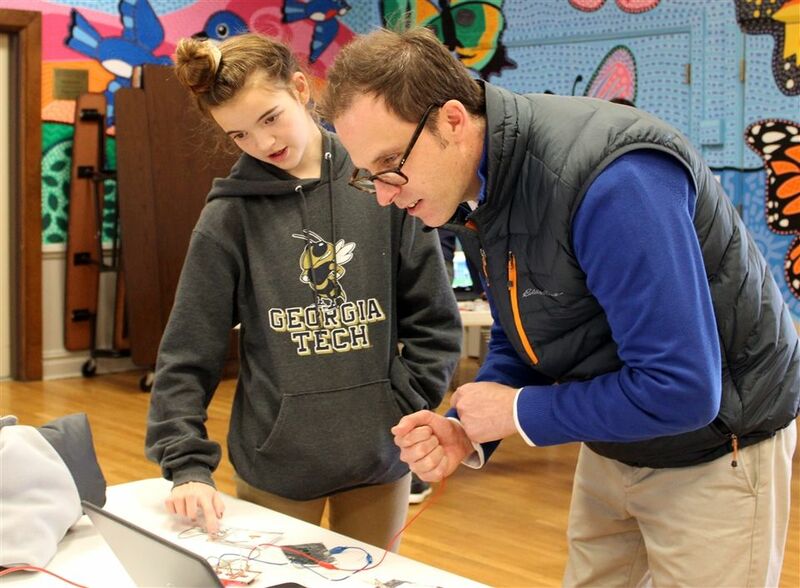 Lower & Middle School Director Kyle Armstrong reflected, "The Seventh Grade Tech Fair was a great example of both ingenuity and collaboration. 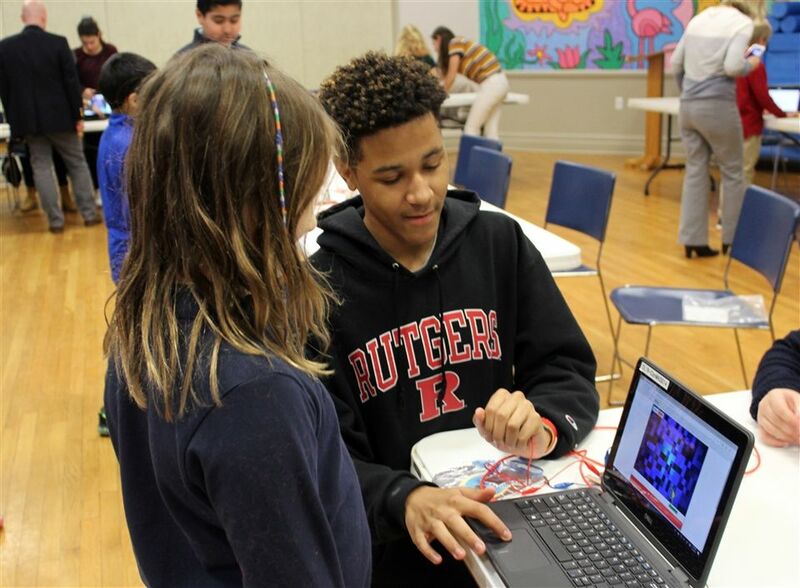 The process of designing basic video games and then sharing them with our second- and third-graders was impressive and fun. Kudos to Mrs. Johnson and the entire seventh grade!" 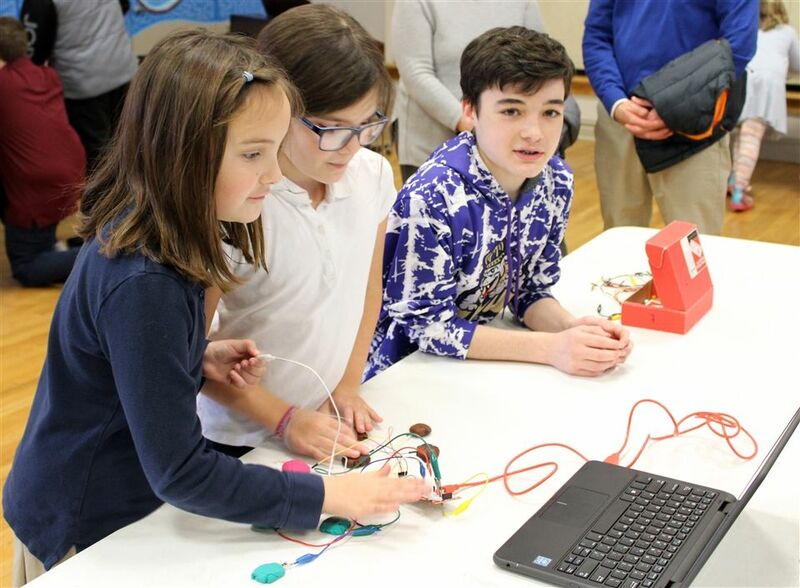 A special thank you to second-grade teacher Mary Tuohy, Lower School Specialist in Math & Language Arts Casey Santonacita, Upper School computer science teacher Joan Mruk, and all the faculty who helped coordinate the tech fair.